In an age of personal music cultivation, radio stations are always trying to improve listenership rates using a variety of methods to entice listeners to tune in. Traditional approaches to advertising can be costly and results difficult to measure so 102.7 THE PEAK in Vancouver decided to try a new tactic by learning about their current and future listeners and delivering ads specifically made for them. THE PEAK ran a three-month campaign with LoKnow between March and May 2017 targeting males and females between the ages of 18 – 40. The goal was to capture brand-new listeners as THE PEAK had recently rebranded as a modern rock station and also to increase listenership among those in the target age group in each of the nine communities that make up Metro Vancouver. 102.7 THE PEAK is a modern rock station owned by the Jim Pattison Broadcasting Group and located in Metro Vancouver. Over the years it has had many different call letters and musical formats. THE PEAK has officially been a modern rock station since changing its slogan to “Vancouver’s Modern Rock” in August 2016. We used three targeting strategies to reach the right audience for THE PEAK: community targeting, event targeting and a Facebook campaign. We drew geofences around events and areas where the target audience was likely to be found and used physical retargeting by collecting an individual device ID after an ad had loaded in one of these areas. There is no need for additional user interaction for ads to continue to target a device after the ID has been captured. The ads displayed in each community were made to look local and included a photo of a landmark and the community’s name. For example: New Westminster’s Modern Rock or Coquitlam’s Modern Rock. This approach was novel as THE PEAK had never directed ads towards each community individually and it led to better engagement. Our Hyper technology allowed us to target attendees of popular musical and sporting events happening in Metro Vancouver as we created a geofence around each event to reach the devices with in it. We wanted to reach an audience who enjoyed the same type of music and events as THE PEAK. The concert-goers attended U2, Kaleo, Red Hot Chili Peppers, City and Colour, and Game of Thrones Live Concert Experience. The sports fans attended World Rugby Sevens and Vancouver Sun Run. On Facebook we targeted those in Metro Vancouver who liked artists frequently played on THE PEAK such as Red Hot Chili Peppers, The Lumineers, Nirvana and Twenty One Pilots. We also targeted look-a-like profiles—users whose interests and behaviours closely resemble THE PEAK’s current followers. 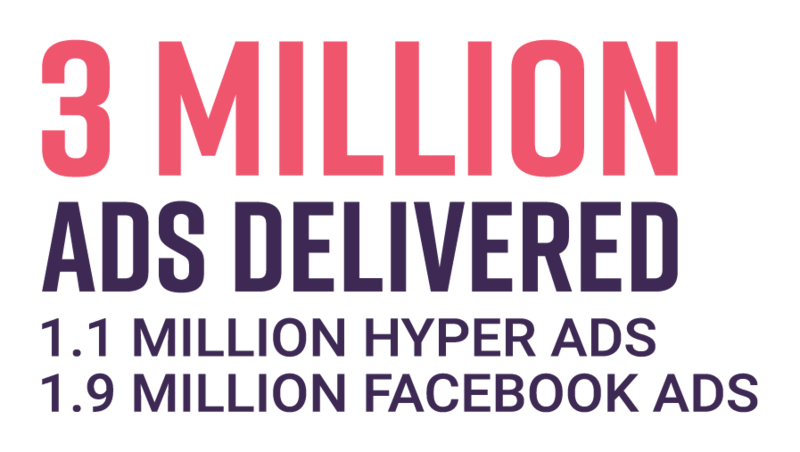 3 million ads were delivered—1.1m Hyper ads and 1.9m Facebook ads—and CTR was nearly 2.5x higher than the industry standard. There was a 49% increase in unique visitors and a 43% increase in page views. The campaign was hugely successful and Metro Vancouver was served over 3 million ads—1.1 million with Hyper and 1.9 million on Facebook—which generated 8000 clicks. 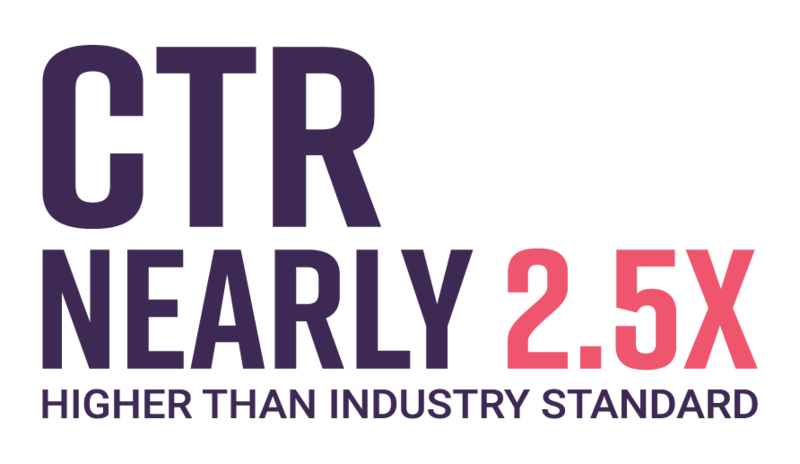 CTR was nearly 2.5 times higher than the industry standard. Using Google Analytics, we tracked the number of unique users and page views THE PEAK’s website received. There was a sharp increase in traffic and users over the course of the campaign and we helped them achieve a 43% increase in page views in March and a 49% increase in unique visitors to the site. The launch of the campaign in March showed the highest increase in listenership during the campaign with a 15% increase in listening hours and a 37% increase in new listeners. This was even more impressive as they had experienced a 12% decline in listenership and an 18% decrease in new listeners the month before the campaign started. The ads performed best morning to midday earlier in the week and evenings later in the week. The targeting of musical and sporting events was also rewarding with four of the seven hitting an extremely high CTR that ranged between 200 – 300% higher than other parts of the campaign. Community targeting resulted in particularly high engagement. Each of the communities of Metro Vancouver showed above average CTR with New Westminster leading all of them at ten times the industry average. 102.7 THE PEAK were impressed with the campaign results and the connection they were able to make with listeners. They continue to run campaigns with us. We drew a geofence around the communities directly bordering Boston Pizza and delivered ads that would persuade customers to call the restaurant directly.